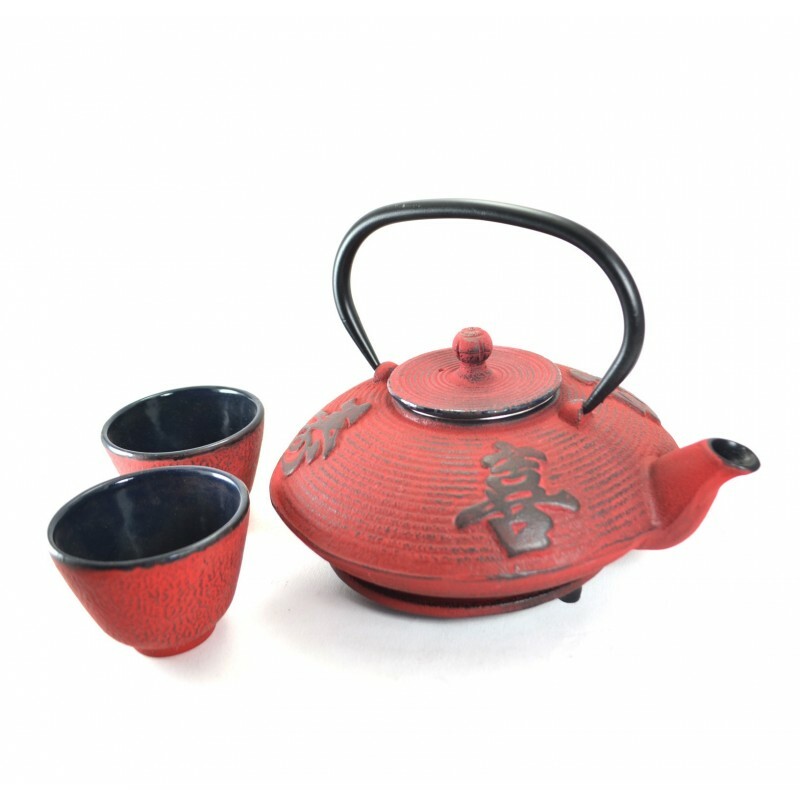 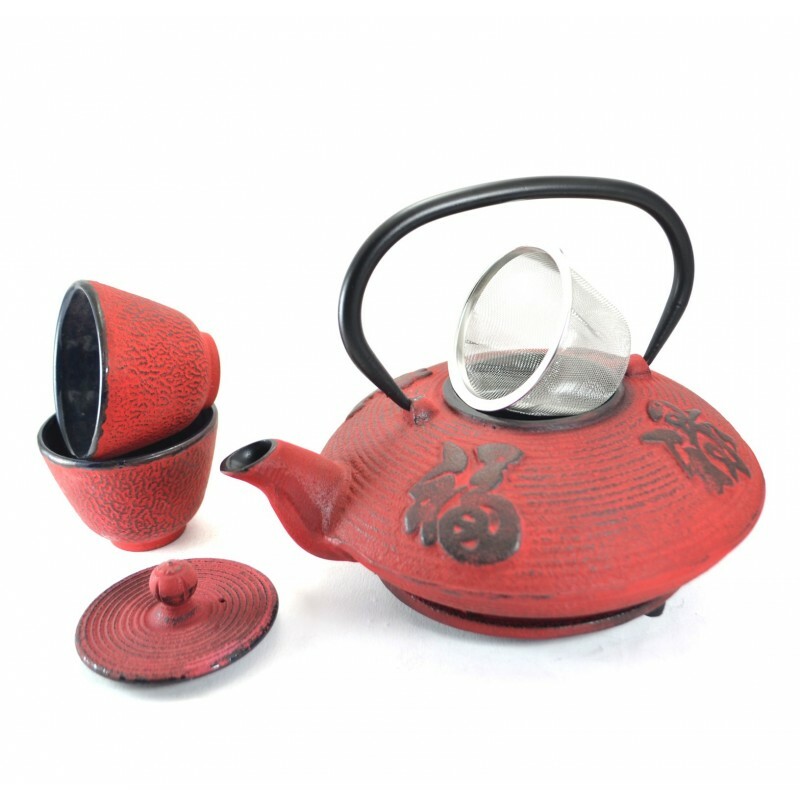 The Red Cast Iron Tea Set with its chinese symbols on the pot and two red cups. 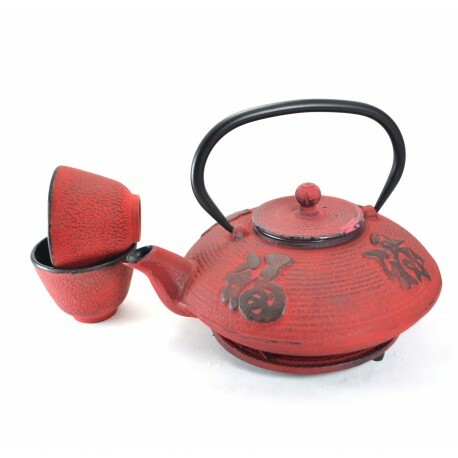 This cast iron Japanese style of teapot also has black inside of the cups and pot for contrast. Cast iron is a better heat conductor so your tea will be kept hot and delicious.